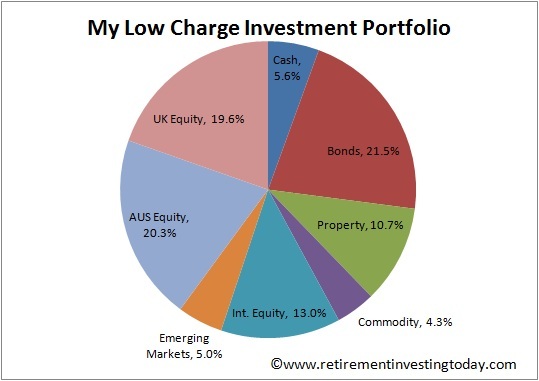 My Low Charge Investment Strategy requires a strategic nominal asset allocation to UK Equities of 20% of total portfolio value. I then add my tactical asset allocation spin which given the current valuation of the FTSE100 requires that allocation be lowered slightly to 19.6%. My current allocation is spot on 19.6% with allocations to all asset classes shown in the chart below. Over the past couple of years I have been able to move my UK Equities investments into a position where I feel they are now relatively low expense and tax efficient. Let’s look in a little more detail. My UK Equities are now divided into two simple pots. The first pot is 16.4% of the allocation. This is all located within the Vanguard FTSE UK Equity Index Fund which is located within a Sippdeal SIPP wrapper. I chose the Vanguard fund as it has good tracking of the performance of the FTSE All Share Index, which contains household names like HSBC, BP, Vodafone, Shell, GlaxoSmithKline, British American Tobacco, Diageo, BHP and Rio Tinto, while having a Total Expense Ratio (TER) of only 0.15%. Note that on initial purchase you are subjected to a Preset Dilution Levy (SDRT) of 0.5% however this was not a major factor for me as I intend to hold the majority of this fund forever meaning this charge will become insignificant. The Sippdeal SIPP wrapper also subjects me to some extra expenses which are online dealing fees of £9.95 per purchase and a quarterly custody charge of £12.50, which covers all the funds within my Sippdeal pension. For me Sippdeal was the cheapest pension wrapper for the asset types held with these fixed charges, as opposed to a percentage of asset value, helping as my SIPP pot is now relatively large. Vanguard plus the Sippdeal wrapper have helped me reduce my costs significantly as the funds came from two old work Group Personal Pensions (GPP) which were both held with Aviva and were incurring high expenses of 0.85% and 1%. Of course saving into a pension may not be right for everyone however for me as a 40% taxpayer now and a planned 20% taxpayer in retirement they are worth the risks. Within the pension wrapper I have also chosen to buy Income Funds (as opposed to Accumulation Funds), including the Vanguard UK Equity Index Fund, for two reasons. Firstly, the dividends from all the funds held are pooled and then reinvested into the worst performing asset class which helps with my rebalancing. Secondly, when I finally reach the age when I can access my pension (currently 55 but who knows what the government will have done to pensions by the time I reach that age) I don’t intend to buy an annuity but instead will be looking to enter Income Drawdown (also known as an unsecured pension). The Income fund choice will mean that I hopefully don’t have to sell funds for the income and hence incur dealing charges. The remaining 3.2% of my UK Equities are invested in a High Yield Portfolio (HYP) which currently consists of Astra Zeneca, Sainsbury’s, Vodafone and SSE shares. This is all invested outside of tax efficient wrappers such as ISA’s and Pensions. By holding the shares directly I I’m incurring no fund charges. Additionally, in the hunt for the lowest charges possible I’ve chosen to hold the shares in a Hargreaves Lansdown Fund & Share Account. I believe this fund gives me the lowest total costs with dealing charges of £11.95 per trade but importantly no annual management charges. I am investing such large sums monthly that I use up my annual Stocks and Shares ISA allowance well before the year is out. Even though the HYP is outside a tax wrapper I’m still thinking of tax friendliness. As a 40% tax payer for the next 4 or so years I am seeing the dividends taxed at an effective rate of 25% however as soon as I drop to a 20% taxpayer, which could be for 40 or more years of retirement, the tax rate will drop to an effective 0% under the current rules. The HYP strategy then means in retirement, providing the Hargreaves Lansdown and HMRC rules don’t change I will have no expenses and no taxes associated with the HYP. - I used to have Sippdeal accounts(including my child sipp) but moved all to Hargreaves Lansdown. The main reason is trading costs. With small monthly contributions, it seems that mutual funds from HL are far better choice then trading with Sippdeal. - with 20 years to my retirement, I do not invest in Income funds but choose growth, thus, Accumulation funds only. - the same reason is for 30-35% allocation in Emerging Markets equity. 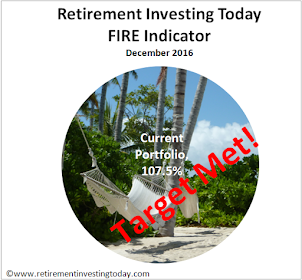 It will be eventually lowered as I approach retirement, mainly due to high volatility. Still, over 5 year, this brings superior yield to portfolio. For my child, I invest 75% in Emerging Equity and 25% Small Caps. - the same reason I do not have fixed income. Especially now when we are in debt bubble which is about to burst in 2013-2014. - There is a number of active UK funds performing better than UK tracker funds even with higher costs. Over 3-10 years. Thanks for sharing. I (and I'm sure all readers) always enjoy seeing the different approaches readers are taking to suit their own individual situation and investment needs. As ever, an interesting article. 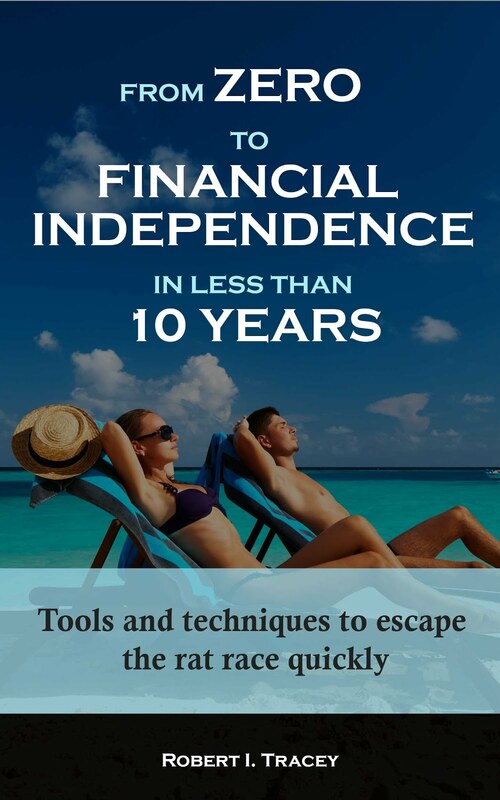 My own pension is with Sippdeal and I have converted to income drawdown this Summer. I wonder if you are missing a trick by investing your hyp outside of your sipp bearing in mind you would get 40% tax relief on the contributions added to the option of the 25% tax-free lump sum available on drawdown. The other point is that Sippdeal only charge £9.95 per trade (£1.50 for regular investment option) so would be cheaper than HL. Glad to hear another reader is using Sippdeal. How did you find Sippdeal's efficiency when you converted from accumulation to income drawdown? 1. risk management. Governments love to play with pension rules and going forward I have no visibility of what changes they will make in the 15 years that I have to wait before I can access the pension under the current rules. For example my Early Retirement plans would be destroyed (plus I could actually be in serious trouble financially if I hadn't worked for a few years) if I banked on being able to get access to my pension at 55 and then just before that date they pushed the age out to say 65. I therefore want significant assets outside of the pension when I am still so far from pension age. As I near pension age I may review that and start to ramp up the pension further. 2. revenue until I can get access to my pension. At my current rate I'll have the option of Early Retirement at about 44 years of age. That means I need at least 11 years of revenue (plus a risk buffer per my first point above) outside of pension. "How did you find Sippdeal's efficiency when you converted from accumulation to income drawdown?" I must say it was all very straight forward and simple - the whole process took around 2 weeks from sending off the completed forms to me receiving the 25% TFLS in my bank a/c and Sippdeal confirming the drawdown schedule and date of first payment. Since then the TFLS has been used to fund this years isa and several hyp shares purchased - Pearson, Unilever, Reckitt, Tesco and Glaxo. Also, I have added a few investment trusts - City of London, Murray International, Temple Bar and Law Debenture. I like to have several srings to my income bow. Give it a plug if you think it may be useful to some of your readers? Your straight forward dealings with Sippdeal match mine. My pension move from Aviva was smooth. Additionally, a few emails were answered swiftly and succinctly. Your ebook looks interesting. I have a "Books that helped me" tab below my banner where I place any books that have helped me with my learnings and strategy development. Would you care to send me over a gratis copy via email? If it helps expand or reinforce my knowledge I'd be happy to add it to the list of books referenced. If you want to recommend a book I think you would be far better off with the rather old American title "The Millionaire next door: The Surprising Secets of America's Wealthy"
It's a book I've heard of but never actually read. Thanks for the reminder (and recommendation). I've added it to my must read list. Wouldn't it be better to have your HYP rather than growth funds within your SIPP or ISA accounts to avoid income tax? Your growth funds will incur little income tax out of the SIPP and ISA wrappers and you can avoid capital gains tax by buying and selling to use your yearly CGT exemption allwoance.